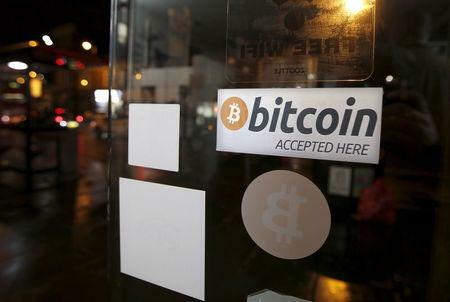 NEW YORK (Reuters) - Honduras, one of the poorest countries in the Americas, has agreed to use a Texas-based company to build a permanent and secure land title record system using the underlying technology behind bitcoin, a company official said late Thursday. Factom, a U.S. blockchain technology company based in Austin, Texas, will provide the service to the government of Honduras, the firm's president, Peter Kirby, said. The company is doing the project with Epigraph, a title software company that uses blockchain technology, also based in Austin. Factom would not reveal the cost of the project. Honduras would become only the second government to use blockchain, which increases transparency in a transaction, to manage government data, after reports that the Isle of Man would test a government-run blockchain project. "In the past, Honduras has struggled with land title fraud," said Kirby. "The country's database was basically hacked. So bureaucrats could get in there and they could get themselves beachfront properties." Ebal Jair Díaz Lupian, the Honduran government's chief of staff, did not respond to several attempts from Reuters to contact him via email and telephone. By building an immutable title record, backed by blockchain, Honduras can leapfrog systems built in the developed world, Kirby said. He added that this would allow for more secure mortgages, contracts, and mineral rights. "This also gives owners of the nearly 60 percent of undocumented land, an incentive to register their property officially." The blockchain is a ledger of all of a digital currency's transactions and is viewed as bitcoin's main technological innovation. The technology is evolving beyond the digital currency, though, to applications like title databases and data verification systems. Kirby said Factom started negotiations in January. The pilot project should be completed by the end of the year, with the goal of eventually putting all of the government's land titles on the blockchain, he added. Honduras, a country of about 8 million people, has the world's highest murder rate, fuelling a surge in child migration to the United States. The country's GDP per capita in 2013 was estimated at $1,577, according to the World Bank, making it one of the poorer countries in the Western hemisphere. The government's debt has more than quadrupled since 2008 amid sluggish growth.